It’s time to exhale now, as I’m sure you’ve been holding your collective breaths waiting for my official reaction to the Red Sox losing Jon Lester. Actually, I’m going to make you wait a few extra moments as I first react to the reactions of the media, both national and local, before sharing mine. You would have thought that the Zakim Bridge had collapsed into the Charles River because of faulty workmanship, carrying with it the Governor, based on the outrage of many of those in the greater Boston sports media. The strongest of the blame was saved for Sox ownership, most especially John Henry and his new found philosophy of not offering large, extended contract to players over 30- especially pitchers. It was generally believed by many, if that was the way he really felt, that it would have been smarter to have not made any offer of any amount, rather then to “low-ball” (4 years/ $70 million) him so badly. It is still front and center in terms of being a topic of interest in talk radio, as today it was revealed that Henry did not want to go over 5 years/ $100 million, so that initial offer now has some context even if it remains seriously on the low side. Although the media is starting to warm to the new rotation, initially the additions of Justin Masterson, Wade Miley, and Rick Portello, did little to calm their outrage. I was very much of two minds when it came to the discussion of re-signing Lester. As I implied with my heading to this paragraph, I did not want Lester in the AL East, and was especially concerned that the Yankees would go after him in an effort to fill the role vacated by the retirement of Andy Pettitte. However, I remain unconvinced that he is a true “Ace”, but rather more of a 1A. Yes, he had a strong post season in 2013, but for the most part he’s never been that consistent shutdown pitcher you want your Ace to be. (If you don’t believe me, I suppose you could always ask Oakland fans how they feel about his October performance this year.) In addition to all that, I’ve never totally forgiven him for his part in the 2011, “beer and fried chicken” collapse. It’s not just because it kept Boston out of the playoffs that it bothers me, but also that it cost manager Terry Francona, the man who had been like a father to him during his battle with cancer, his job. Now having said all that, do I think a rotation of Porcello, Joe Kelly, Clay Buchholz, Miley, and Masterson will take them back to the World Series? Probably not, but they should now have enough money to sign Max Scherzer, right? 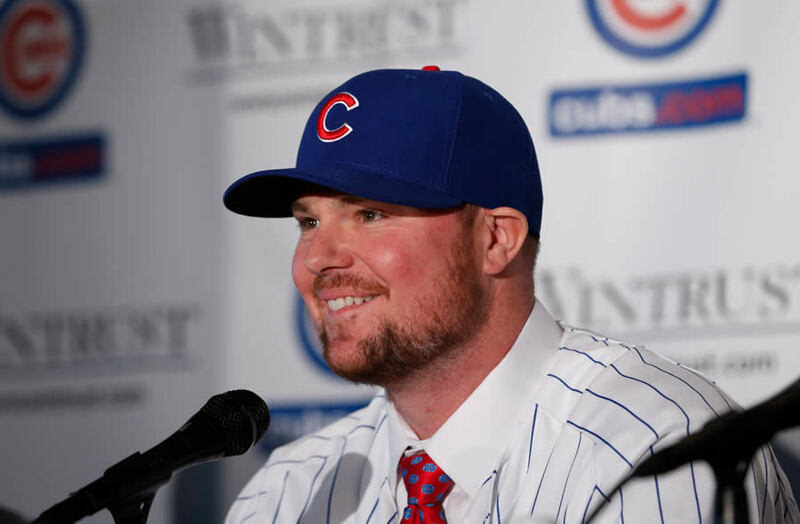 I mean after all, what’s 8 years, $200 million to spend on a pitcher who is also seven months younger than Lester? I expect the Sox are not done, but whether it’s a big signing or a deal for Cole Hamels, I think that it would be wise to wait for the post Holiday Sales. Wouldn’t you?